The Lagos State Government has filed an amended charge before a Lagos High Court in Igbosere against the Managing Director of Lekki Gardens Estate Limited, Richard Nyong and others over alleged negligence in the events leading to the collapse of a building in Lekki area of the State on March 10, 2016. The state government, through the office of the Attorney General and Commissioner for Justice, Mr Adeniji Kazeem, had dragged Nyong and others before Justice Sybil Nwaka over the building collapse which reportedly claimed 34 lives. At the resumed hearing of the matter on Wednesday, the State’s Director of Public Prosecution (DPP), Ms. Titilayo Shitta-Bey informed the court of the amended charge dated June 13, 2017 and additional proof of evidence filed against the defendants, saying that all the defendants have since been duly served. 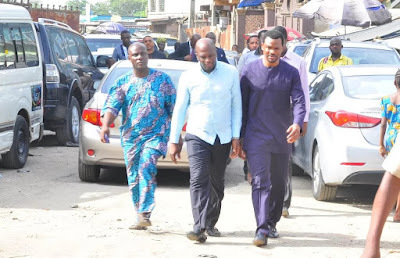 Aside Nyong, other defendants are an Executive Director of Lekki Gardens, Sola Olumofe; Odofin Henry Taiwo, Omolabake Mortune, Omotilewa Oluwatosin Joseph, Lekki Gardens, Get Too Rich Investment Limited and HC Insight Solution Limited.